Consolidation in the security industry? 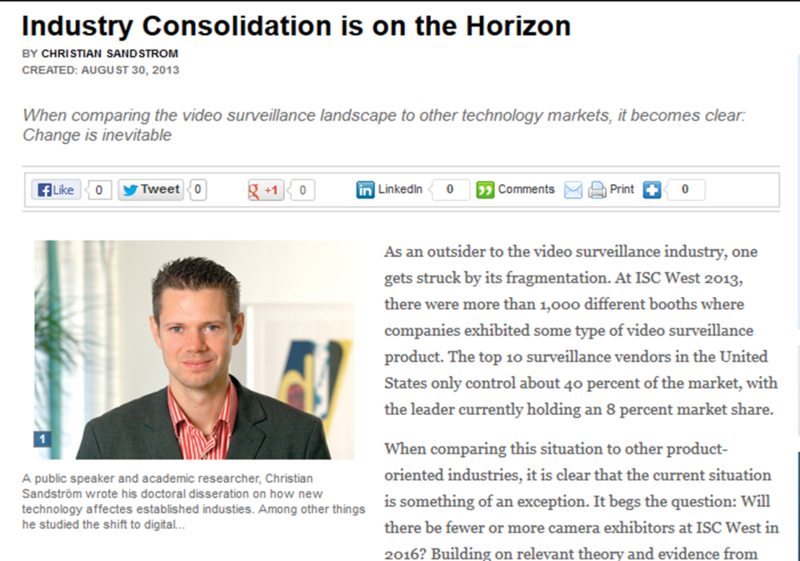 In an article at Securityinfowatch I argue that technological change has made the video surveillance industry more fragmented and that it is likely to consolidate in the coming years. The article can be found here.